This morning I read Mark 10 and Galatians 1 & 2, so now you can see I’m on Day 38. I heard about the “The cell rule of Optina” through my “Women of Hillside” group. It’s a reading structure that guides you through the New Testament in 89 days: three chapters per day, one from the Gospels and two from the other books starting in Acts. 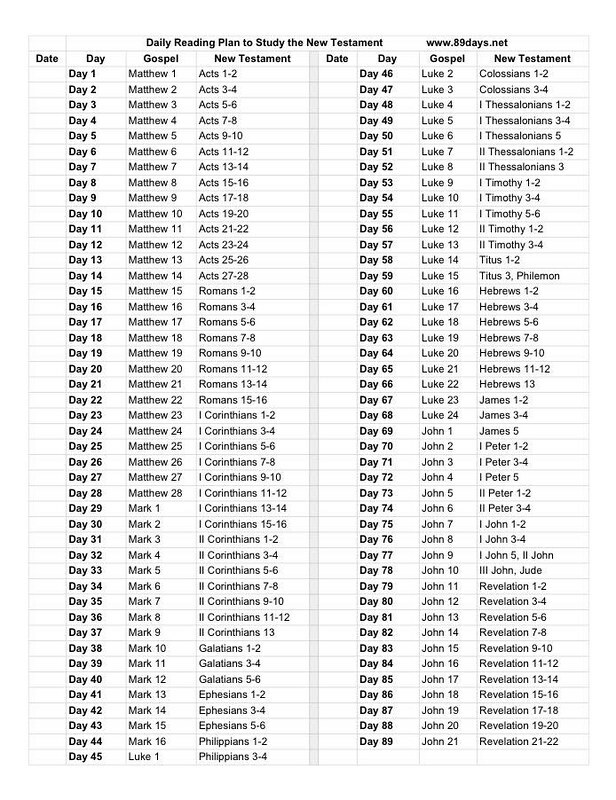 On Day 1 you read Matthew 1 and Acts 1 and 2, and 89 days later the last chapter of John’s Gospel is read on the very same day as Revelation 21 and 22. This very much appealed to me and I jumped on the bandwagon. It’s been 20 or so years since the last time I read through the entire Bible with “Bible Readers Unanimous.” Mauri and I read it aloud to each other! That was an incredible undertaking for us, and while it was meaningful for us, I promised myself I would never read through the entire Old Testament again. Make sure you heard me right: I didn’t say I’d never read the Old Testament again; I’d never read it from Genesis to Malachi again. It’s just too much and too hard. But I am loving this system for reading the New Testament, Matthew through Revelation! Did you ever reread a book and discover details you’d missed the first time through. That’s what often happens when rereading scripture. Depending on where your focus lies at the time, different words and passages jump off the page. It won’t surprise me if at the end of 89 days I’ll choose to start again to see what other messages God places on my heart. Want to join me? You can start today or tomorrow or next week? Use the guide above (it’s in the public domain, so make and share as many copies as you like) or CLICK HERE to find it online. Use your own Bible or choose a version here. Let me know you’re reading so I can encourage you along the way. You can encourage me too!